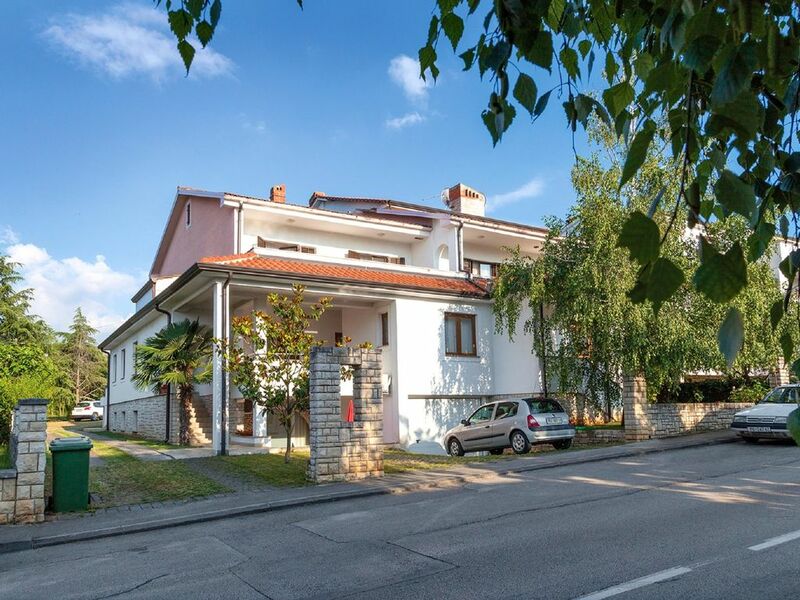 This nice and modern equipped apartment is situated on the ground floor of a family house, and it has 60 square meters. It consists of a double bedroom, a bedroom with 2 single beds, a living room with sofa-bed for one person, a kitchen and a bathroom with shower. The kitchen is equipped with a cooker with electric plates,fridge with freezer and a coffee machine. The apartment has got SAT TV,air conditioning and free wi-fi. The apartment has a beautiful terrace with garden furniture, private parking and grill. Wohnung geräumig, sehr sauber, tolle Terasse, etwas hellhörig (Strasse), 5 min Fußweg zum Ort und Strand. Sehr gute und preiswerte Lokale im Ort, Sonnenschirm und Liegestühle mietbar (Preisvergleich lohnt sich!! ), gutes Eiscafe und Strandbars vorhanden, meist betonierte Liegeflächen oder Kieselsteinstrand. Etwas abseits gelegen, ca 5 min mit dem Auto entfernt Naturstrand unter Pinien, auch am Wasser mit Kieselsteinen und Natursteinen. Hier dürfen auch Hunde ins Wasser!!! Man braucht unbedingt Badeschuhe, die man für ca 7 Euro überall kaufen kann. Alles in Allem hat uns der Urlaub super gefallen und wir würden sehr gerne wieder kommen, allerdings nicht mehr mit dem Auto wegen der kilometerlangen Staus vor den Grenzen!!! Špadići is part of the town of Poreč, 1 km away from the downtown area and 100 m from the Sea. It is located north of the town, and marked with a number of private houses. The first beaches Luna and Materada are a few steps away. The area is ideal for families who want a quiet holiday, away from the city crowd, close to the sea. The area of Špadići can be considered a small town because it consists of a bakery and several hotels, restaurants, pizzerias, cafes, shops and sports facilities. The area is connected to the city center with a tourist train that runs the famous town's promenade called Pical. Poreč is a tourist destination, known for its cultural events, bars, restaurants, sports content and beautiful beaches.